So, you’re looking to be the next big thing… but have no talent. Why not buy someone else’s piece of music and then sell it as your own? 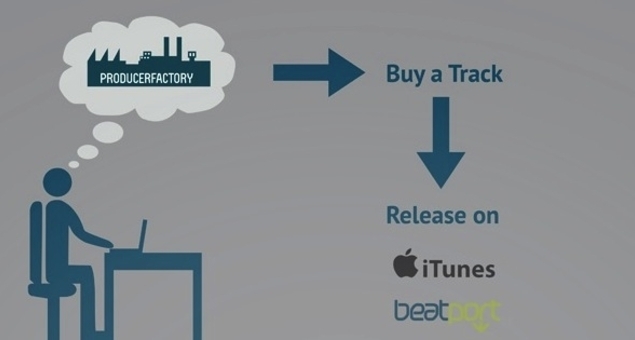 ProducerFactory.com is aimed at those looking to “step up” their career, claiming that “what used to only be available for the top DJ is now open for all artists.” The idea being that you pay Producer Factory to ghost write a piece of music for you, which in turn you can sell as your own via retailers like iTunes, Beatport and Junodownload. Additionally, the start-up company offers further methods in forging – or faking – a career by way of various marketing packages to boost your online presence. These services would artificially increase your Facebook likes, Twitter followers and Soundcloud plays. The absurd concept is hard to swallow; it still remains to be seen whether this is simply an elaborate satirical hoax. Here’s hoping. Your suggestion is true. Visit 4SaleUSA here you can get more ideas how it’s going through and get more iTunes Music from world’s best iTunes Store.